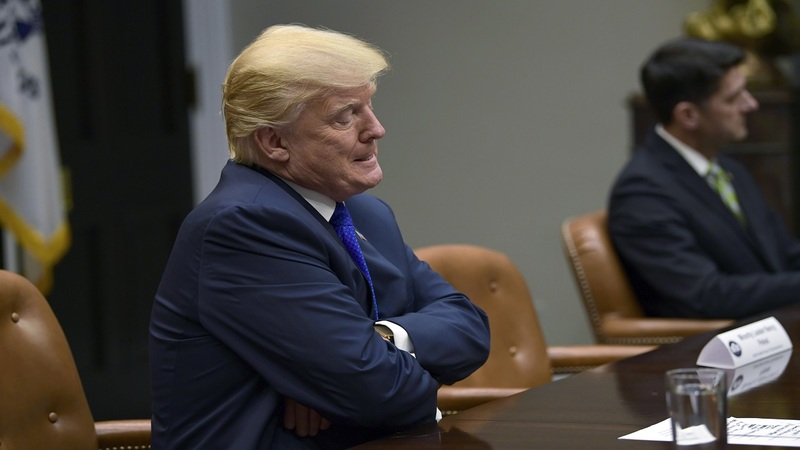 President Donald Trump pauses as he is asked a question by a reporter as they are leaving the Roosevelt Room of the White House in Washington, Tuesday, Nov. 28, 2017, during a meeting with Republican congressional leaders. President Donald Trump threatened new sanctions on North Korea Wednesday after its most powerful missile test yet and urged China's leader "to use all available levers" to convince its wayward ally to "return to the path of denuclearization." It was not immediately clear if Trump was referring to additional U.S. sanctions or another around of penalties at the United Nations. Agreement between the U.S. and China, both veto-wielding members of the U.N. Security Council, is key to such action. The council is due to hold an emergency meeting Wednesday afternoon. Trump tweeted that he spoke with Chinese President Xi Jinping about "the provocative actions of North Korea. Additional major sanctions will be imposed on North Korea today. This situation will be handled!" 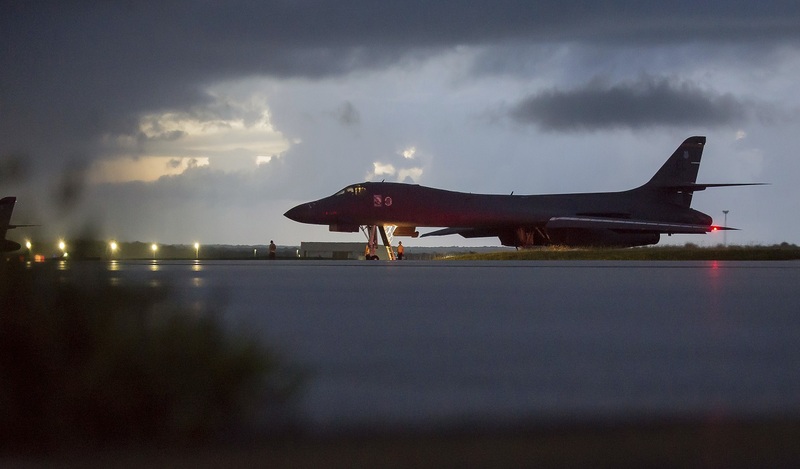 After a 2 ½ month pause in its rapid tempo of nuclear and missile tests, North Korea said it launched a "significantly more" powerful, nuclear-capable intercontinental ballistic missile. 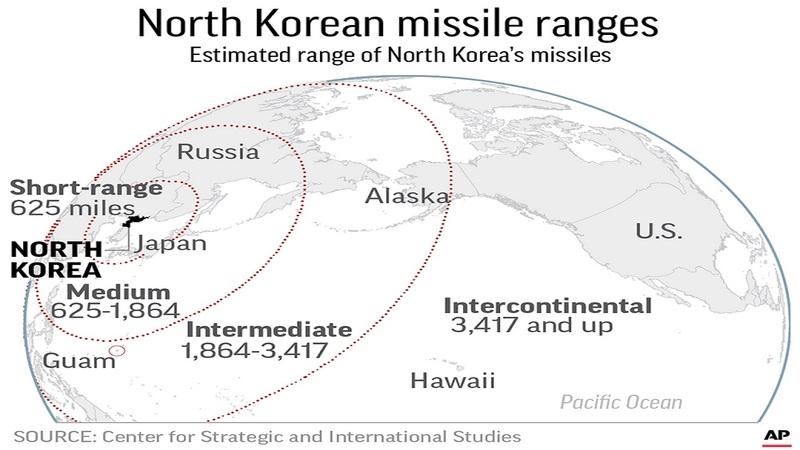 Outside governments and analysts concurred the North had made a jump in missile capability. Some observers believe the Hwasong-15 missile that was tested on a high trajectory and splashed down in the Sea of Japan in the early hours of Wednesday in Asia could potentially reach Washington and the entire eastern U.S. seaboard. That suggests progress by Pyongyang in developing a weapon of mass destruction that could strike the U.S. mainland. Trump has vowed to prevent North Korea from having that capability — using military force if necessary. A White House statement about the phone conversation between the U.S. and Chinese leaders said Trump made clear "the determination of the United States to defend ourselves and our allies." 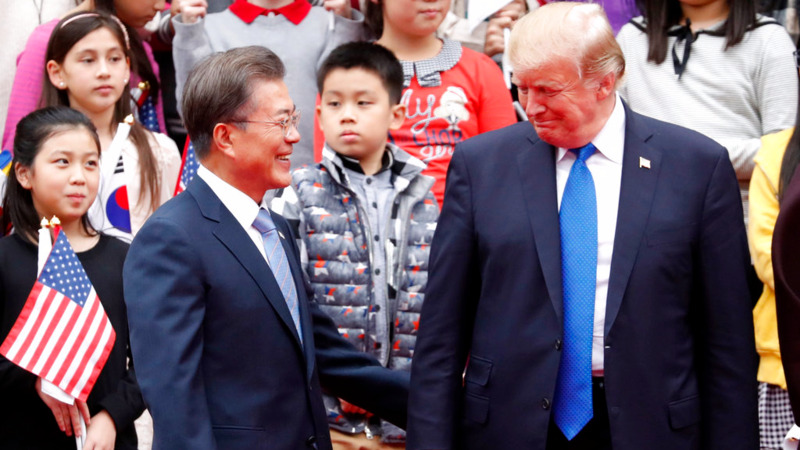 Trump also "emphasized the need for China to use all available levers to convince North Korea to end its provocations and return to the path of denuclearization." China's state-run Xinhua news agency said Xi told Trump that denuclearizing the Korean Peninsula, maintaining international nuclear-nonproliferation regime, and preserving peace and stability in Northeast Asia are China's unswerving goal. Xi said China would like to keep up communications with the United States and all other related parties, and "jointly push the nuclear issue toward the direction of peaceful settlement via dialogues and negotiations," according to Xinhua. U.S. sanctions against North Korea were bolstered last week after the Trump administration declared North Korea a state sponsor of terrorism. Those sanctions targeted North Korean shipping and Chinese companies that deal with the North. In Seoul, Trump calls for North Korea to "make a deal"